The U.S. Food and Drug Administration is warning that a popular birth control pill could increase the risk of blood clots by 74 per cent, compared with older pills on the market. The controversial pill contains the hormone drospirenone, and is sold in Canada under the name Yasmin (or its sister pill Yaz) — all manufactured by Bayer AG. 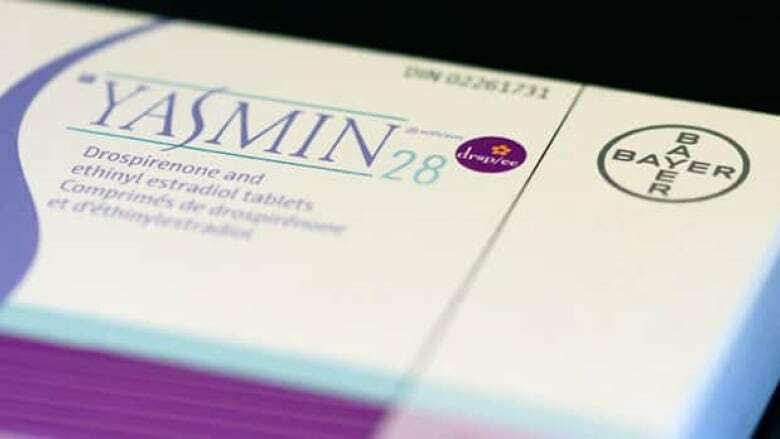 Yasmin is one of the top-selling birth control pills in the country. The study, released Thursday by the FDA, evaluated more than 835,000 women taking the pills, between the ages of 10 to 55. It comes on the heels of a Danish study released earlier this week that found pills containing the hormone drospirenone carry almost twice the risk of a blood clot. Several other large studies have made similar findings. The head of Bayer's Healthcare Unit Joerg Reinhardt told reporters before the FDA release, "We believe that the overall potential risk that Yaz or Beyaz present to patients is absolutely [equivalent] compared to that of other oral contraceptives." In a CBC Marketplace investigation earlier this year, Bayer declined to do an on-camera interview, but said its product was no riskier than any other oral contraceptive on the market. Health Canada has said it is studying new research on oral contraceptives containing drospirenone.